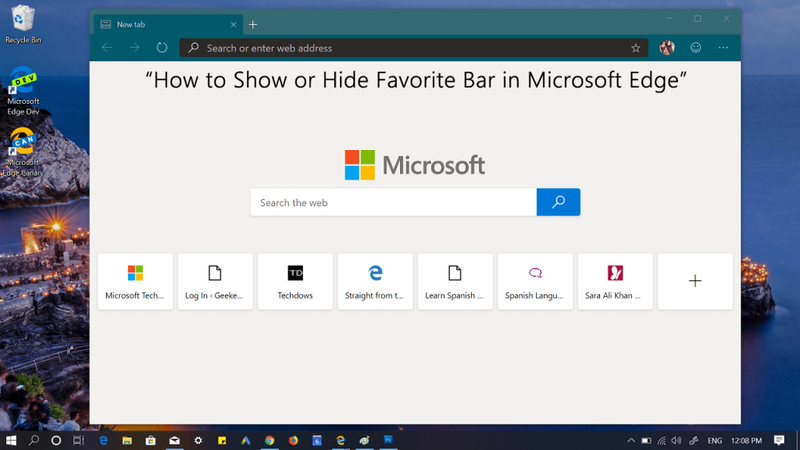 Microsoft Edge Chromium offer option to hide or show Favorite bar on the new tab page. In this blog post, learn how to do it. 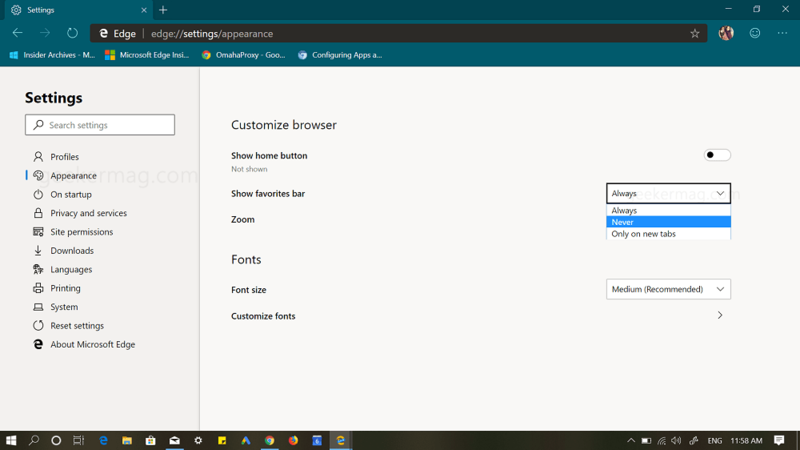 Starting with Edge Chromium build 124, there’s an option in a browser that let users hide and how favorite bar. The option is available on both Bookmark context menu and browser settings. The same feature was not available in the Classic Edge browser. 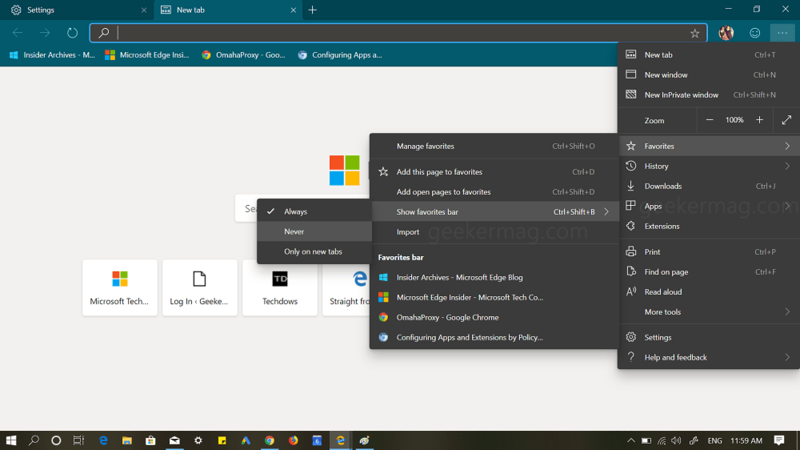 The availability of this feature in the Edge Chromium provides us another reason why to ditch the Classic Edge browser. Click on the More (…) icon available on the upper-right side and from the menu select Favorite > Select Favorite bar. Here, you can select Never to hide it in the browser and select “Only on new tabs,” if you want Favorite bar to appear only when you open a new tab. Click on the More (…) icon available on the upper-right side and select Settings from the menu. You can also use CTRL + SHIFT + B keyboard combination to hide the Favorite bar quickly. You find this blog post handy? Is there anything you would like to share about Microsoft Edge Chromium with us? Feel free to share in the comments. Previous Post« Previous How to Enable/Disable Microsoft Translator in Microsoft Edge Chromium.